Look out! Little Red is ridin' into your 'hood, the Three Little Pigs are hamming it up and the Big Bad Wolf is working double time in this twisted tangle of tales. Two childhood favorites have been cleverly "squished" together with just one Big Bad Wolf to share in all of the hilarious fun! Meet the trio of delightful little pigs including Hamlet, Miss Barb B. Que and their very famous cousin Kevin Bacon! Click here to see a trailer. Lee Bryan, That Puppet Guy, is a popular, Emmy-nominated Atlanta puppeteer celebrating 20 years of performing and creating original plays. To learn more about Lee Bryan, click here. Tickets include the performance, museum admission and the Create-A-Puppet Workshop (or To-Go Kit) where visitors can make their own Portly Pig hand puppet to take home! 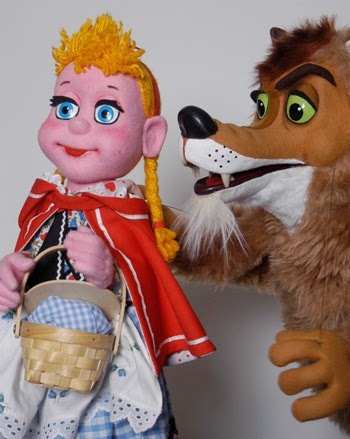 For more information, call 404-873-3391 or visit http://puppet.org/perform/bigbadlittlered.shtml.